Voices for Vaccines releases new podcast episode titled "Anti-Vaccine Nurses"
IAC updates "Screening Checklist for Contraindications to Inactivated Injectable Influenza Vaccination" and "Screening Checklist for Contraindications to Live Attenuated Intranasal Influenza Vaccination"
IAC posts updated Spanish-language version of "Should You Be Vaccinated Against Hepatitis A?" ACOG posts new resource online: "Seasonal Influenza Vaccination Programs: Tips for Optimizing Practice Management"
Still available! IAC's sturdy laminated version of the 2018 U.S. adult immunization schedule—order a supply for your healthcare setting today! Child/teen schedules sold out. IAC's Ask the Experts: Influenza and Ask the Experts: Pneumococcal web pages have been completely reviewed and updated by experts at CDC. Ask the Experts: Influenza: Revisions include inclusion of information about the use of live attenuated influenza vaccine (LAIV); revised recommendations for vaccination of persons with egg allergy; updated data, statistics, and links; and a variety of editorial revisions. Ask the Experts: Pneumococcal: The revision primarily involved updating website URLs and references and minor editorial changes. IAC’s Ask the Experts web section is a compilation of common as well as challenging questions and answers (Q&As) about vaccines and their administration. William Atkinson, MD, MPH, IAC's associate director for immunization education, manages this web section, with answers provided by Andrew T. Kroger, MD, MPH; Candice L. Robinson, MD, MPH; Raymond A. Strikas, MD, MPH, FACP, FIDSA; Tina S. Objio, MSN, MHA, RN; and JoEllen Wolicki, BSN, RN, all from the National Center for Immunization and Respiratory Diseases, CDC. IAC Express publishes five special editions each year of Ask the Experts Q&As answered by CDC experts. You can access the four most recent IAC Express Ask the Experts sets of Q&As from the main web page of Ask the Experts, in the right-hand column. Sharon G. Humiston, MD, MPH, FAAP, IAC's associate director for research, will present a one-hour webinar titled "Adolescent Immunization Update and the 16-Year-Old Platform" on September 26, at 1:00 p.m. (ET). During her presentation, Dr. Humiston will review the recommendations for adolescent vaccines, including those recommended at 11–12 years of age and those at age 16. CDC's most recent National Immunization Survey, published on August 24, found that 51% of adolescents had not completed the HPV vaccine series, and 56% had not received both doses of MenACWY vaccine by their 18th birthday. In addition, fewer adolescents in rural areas, compared with those in urban areas, are getting these vaccines. Register today for the webinar. The Immunization Action Coalition (IAC) recently redesigned its website to make it easier to navigate. Each page includes the following six clickable tabs, now in a more visible font and blue-gray color. 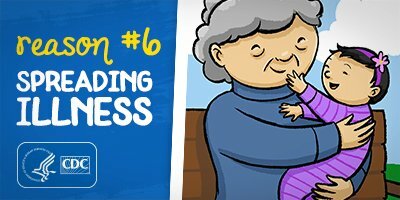 Explore these sections by clicking on the blue-gray tabs at the top of any web page of immunize.org. Voices for Vaccines (VFV) has posted a new entry in its Vax Talk podcast series: Anti-Vaccine Nurses. In this podcast, Melody Butler, founder of Nurses Who Vaccinate, discusses ways to constructively engage with nurses who question the value or safety of vaccines. In 2017, the percentage of adolescents who received the first dose of the HPV vaccine was 11 percentage points lower in rural areas compared to urban areas. The percentage of adolescents receiving the first dose of the meningococcal conjugate vaccine was 7 percentage points lower in rural areas compared to urban areas. This difference may be due in part to the fact that there are fewer pediatricians in rural areas compared to urban areas. Clinicians in rural areas serve a broader population base and may be less familiar with adolescent vaccination recommendations and/or may be less likely to stock all recommended adolescent vaccines. 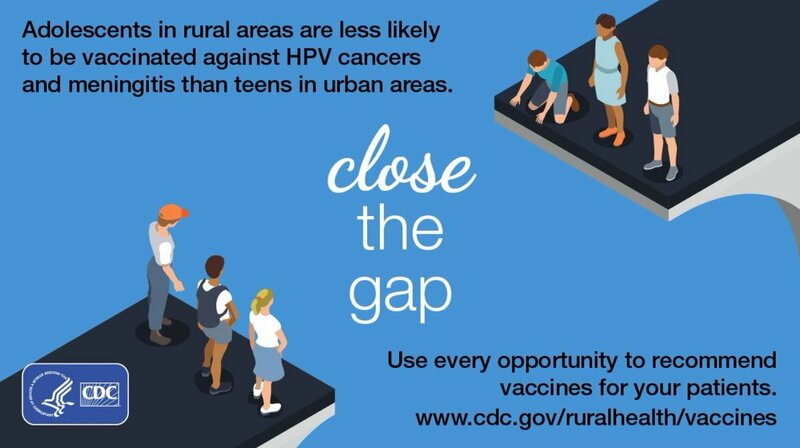 CDC has a number of resources to assist clinicians in rural areas to improve adolescent vaccination rates, including information about how to make an effective vaccine recommendation and/or effective vaccine referral. Access these resources by clicking on the graphic below. IAC recently revised "Screening Checklist for Contraindications to Inactivated Injectable Influenza Vaccination" and "Screening Checklist for Contraindications to Live Attenuated Intranasal Influenza Vaccination." Screening Checklist for Contraindications to Inactivated Injectable Influenza Vaccination: Changes were made to include LAIV as one of the vaccine options for people with egg allergy and to note that latex is no longer present in prefilled syringe caps of some influenza vaccine. Screening Checklist for Contraindications to Live Attenuated Intranasal Influenza Vaccination: Changes were made to remove the “Note” that stated the ACIP did not recommend use of LAIV for the current vaccination season. Access all of IAC's Screening Checklists. IAC recently revised the Spanish-language version of its handout for adult patients titled "Should You Be Vaccinated Against Hepatitis A?" The piece has been revised to incorporate vaccination for infants 6 through 11 months who are travelling to a hepatitis A-endemic country. The World Health Organization (WHO) published Widespread transmission of circulating vaccine-derived poliovirus identified by environmental surveillance and immunization response, Horn of Africa, 2017–2018 in the September 14 issue of its Weekly Epidemiological Record. A section of the report is reprinted below. CDC published Sentinel Surveillance for Congenital Rubella Syndrome—India, 2016–2017 in the September 14 issue of MMWR (pages 1012–1016). A summary made available to the press is reprinted below. Rubella infection during early pregnancy can result in serious consequences such as miscarriage, stillbirth, or a constellation of severe birth defects known as congenital rubella syndrome (CRS). The Government of India is committed to eliminate measles and control rubella and CRS by 2020. The Indian Council of Medical Research (ICMR) and the Indian Ministry of Health and Family Welfare (MoHFW) initiated laboratory-supported surveillance for CRS in five sentinel sites in November 2016. During the first eight months, surveillance identified more than 200 suspected CRS patients. About a third of the patients had laboratory-confirmed CRS. The experience gained during the first phase of surveillance will be useful in expanding the surveillance network; data generated will help monitor progress toward CRS control in India. CDC published Invasive Pneumococcal Disease in Refugee Children, Germany in the October issue of Emerging Infectious Diseases (Stephanie Perniciaro, et al.) A summary and first two paragraphs are reprinted below. Refugee children in Germany are not routinely given a pneumococcal conjugate vaccine. Cases of invasive pneumococcal disease (IPD) in 21 refugee children were compared with those in 405 Germany-born children for 3 pneumococcal seasons. Refugee children had significantly higher odds of vaccine-type IPD and multidrug-resistant IPD than did Germany-born children. Germany has taken in >1 million refugees since 2015, more than one third of whom were children <18 years of age. Invasive pneumococcal disease (IPD) is a major cause of childhood death, especially in resource-poor environments. Conflict settings are associated with outbreaks of vaccine-preventable diseases for reasons ranging from poor sanitation in refugee holding areas to the rapid movement of refugees, which, in turn, allows for a similarly rapid spread of disease and the interruption of immunization services because of the lack of personnel. Read the complete article: Invasive Pneumococcal Disease in Refugee Children, Germany. The American College of Obstetricians and Gynecologists (ACOG) has developed a new immunization resource for healthcare professionals titled Seasonal Influenza Vaccination Programs: Tips for Optimizing Practice Management. This resource includes practical tips on ordering and handling and storing vaccines, as well as advice on reimbursement. For additional resources on vaccine administration, storage and handling, patient education, supply pricing, group purchasing options, reimbursement and coding, and more, visit www.immunizationforwomen.org/fluprogramresources.php. 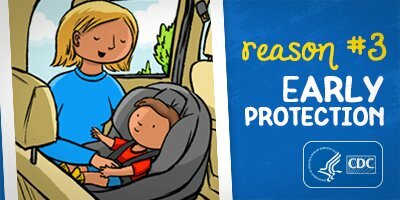 You wouldn’t wait until you’re already driving down the road to put your baby in a car seat. You buckle him in every time, long before there is any chance he could be in a crash. 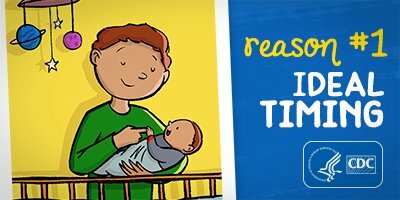 Vaccines work the same way—your baby needs them long before he is exposed to a disease. 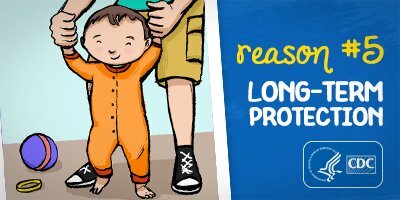 It can take weeks for a vaccine to help your baby make protective disease-fighting antibodies, and some vaccines require multiple doses to provide best protection. 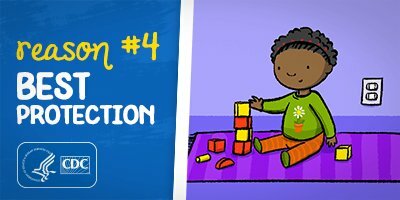 If you wait until you think your child could be exposed to a serious illness – like when he starts daycare or during a disease outbreak—there may not be enough time for the vaccine to work. That’s why the experts who set the schedule pay such careful attention to timing. They have designed it to provide immunity early in life, before children are likely to be exposed to life-threatening diseases. Access "On-time Vaccination: The Ultimate Babyproofing Plan" by clicking on any of the graphics below. IAC's laminated versions of the 2018 U.S. adult immunization schedule are covered with a tough, washable coating; they will stand up to a year's worth of use in every area of your healthcare setting where immunizations are given. The schedule is eight pages (i.e., four double-sided pages) and is folded to measure 8.5" x 11". The child/teen immunization schedules are sold out. If you wish to order a quantity of 500 or more, you can email admininfo@immunize.org to request a quote. CDC published Notes from the Field: Mumps Outbreak Associated with Cheerleading Competitions — North Texas, December 2016–February 2017 in the September 14 issue of MMWR (pages 1019–1020). The first and last paragraphs are reprinted below. Although mumps outbreaks associated with athletic events have been reported, this outbreak is the first documented report of mumps transmission during a sporting event with the majority of cases occurring in nonathlete participants or attendees. Receipt of 2 appropriately spaced MMR vaccine doses offers the best protection against mumps; however, transmission can occur at athletic events among athletes, parents, guardians, coaches, and staff members, including appropriately vaccinated persons, underscoring the importance of receiving recommended vaccines to reduce transmission risk or disease severity. Because mumps outbreaks can occur in persons who have received mumps-containing vaccine, contact tracing should include vaccinated persons, and in some outbreak settings, a third dose of MMR vaccine is recommended. CDC will present a "Current Issues in Immunization NetConference" on September 25 at 12:00 p.m. (ET). 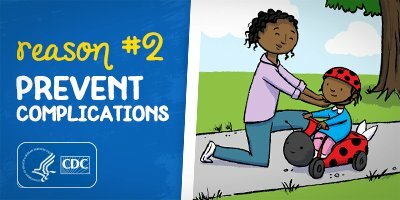 Immunization NetConferences are live, 1-hour presentations combining an online visual presentation with simultaneous audio via telephone conference call, plus a live question and answer session. On-demand replays and presentations will be available shortly after each event. The NetConference will be moderated by Andrew Kroger, MD, MPH, medical officer, NCIRD, CDC. On September 26, CDC will conclude its 15-part webinar series on the chapters of the 13th edition of Epidemiology and Prevention of Vaccine-Preventable Diseases (also known as "The Pink Book"). The webinar series has provided an overview of vaccines and the diseases they prevent, general recommendations for vaccines, vaccination principles, and immunization strategies for providers. The September 26 webinar will cover "Influenza" and include a live Q&A session. Recordings of sessions will be available online within 2 weeks after each webinar. All sessions begin at 12:00 p.m. (ET). Free continuing education is available for healthcare personnel including physicians, nurses, nurse practitioners, pharmacists, physician’s assistants, and others. Registration and more information is available on CDC's Pink Book Webinar Series web page. All the sections of "The Pink Book" (i.e., chapters, appendices, 2017 supplement) are available to download at no charge at www.cdc.gov/vaccines/pubs/pinkbook/index.html. You can also order this resource from the Public Health Foundation for $40 plus shipping and handling.